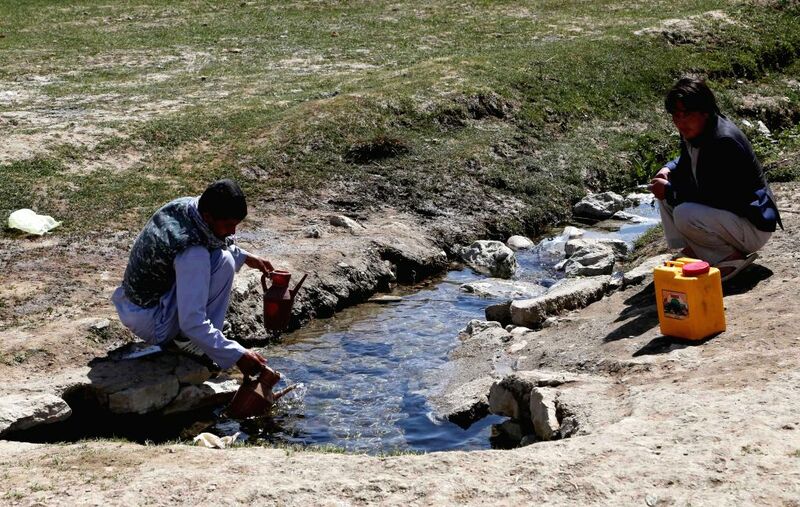 BAMYAN, April 22, 2014 - An Afghan child gets water from a canal in Bamyan province in central Afghanistan on April 22, 2014. 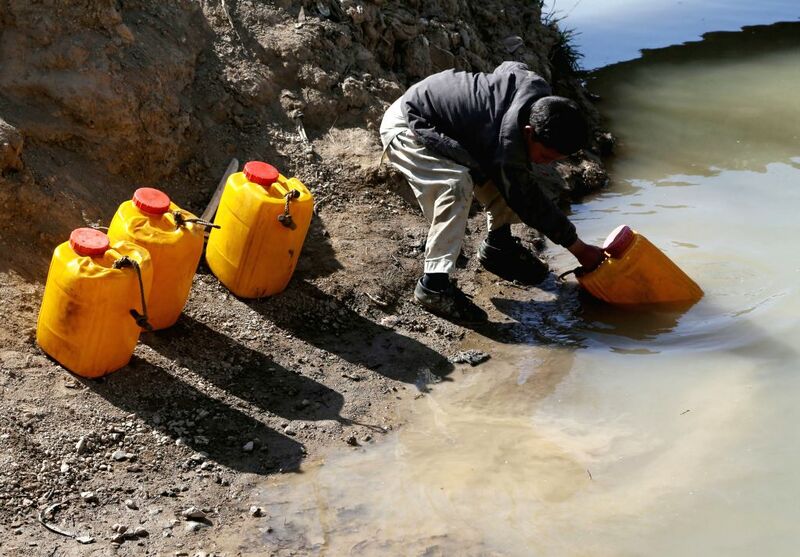 Afghan men get water from a canal in Bamyan province in central Afghanistan on April 22, 2014. 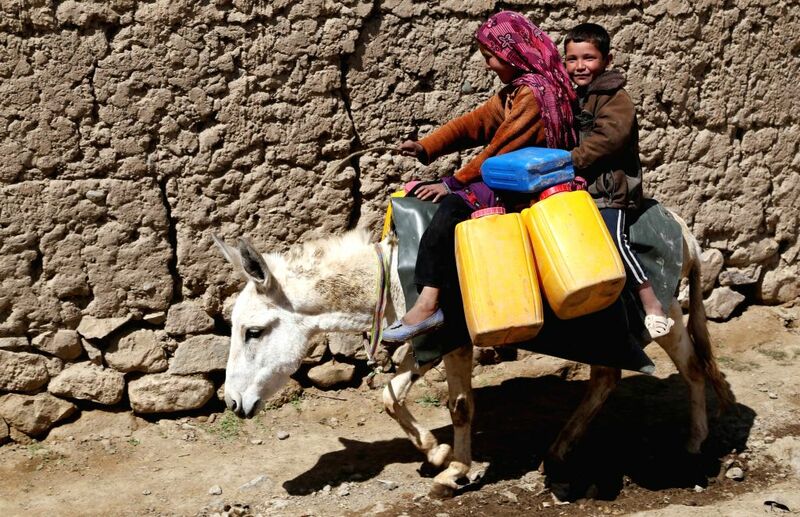 Afghan children ride a donkey while carrying empty barrels to get water in Bamyan province in central Afghanistan on April 22, 2014.